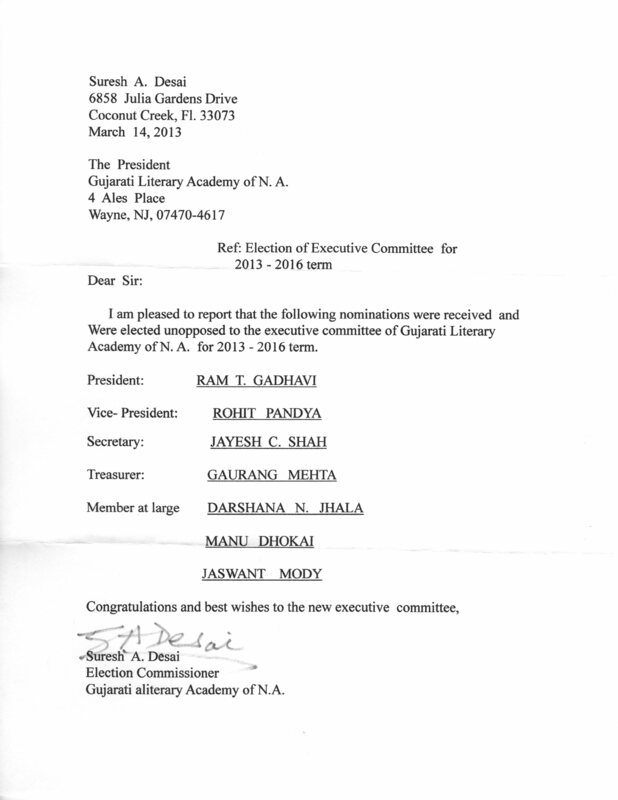 નવી કાર્યવાહી સમિતિ ૨૦૧૩-૨૦૧૬ « Gujarati Literary Academy of N.A. This entry was posted on જૂન 27, 2013 at 1:08 પી એમ(pm)	and is filed under Uncategorized. You can follow any responses to this entry through the RSS 2.0 feed. Both comments and pings are currently closed. નવી કાર્યવાહી સમિતિ માટે અનેક શુભેચ્છાઓ. Wishing the new committee members All the Best! Looking forward to the exciting next three years.